How to Pass the NBDE Part I, using an easy step-by-step NBDE study guide. 312-440-2500	 The National Board Dental Examination is administered to all students studying to be a dentist or dental hygienist. 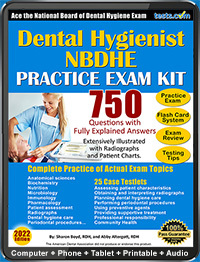 (800) 232-1694	 The NBDHE helps state boards determine the qualifications of dental hygienists who are seeking a license to practice dental hygiene. 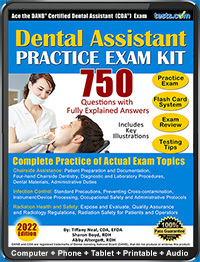 Organization: Dental Assisting National Board, Inc.
312-642-3368	 The DANB CDA Exam is for people who wish to become a Certified Dental Assistant. Take a practice test now!